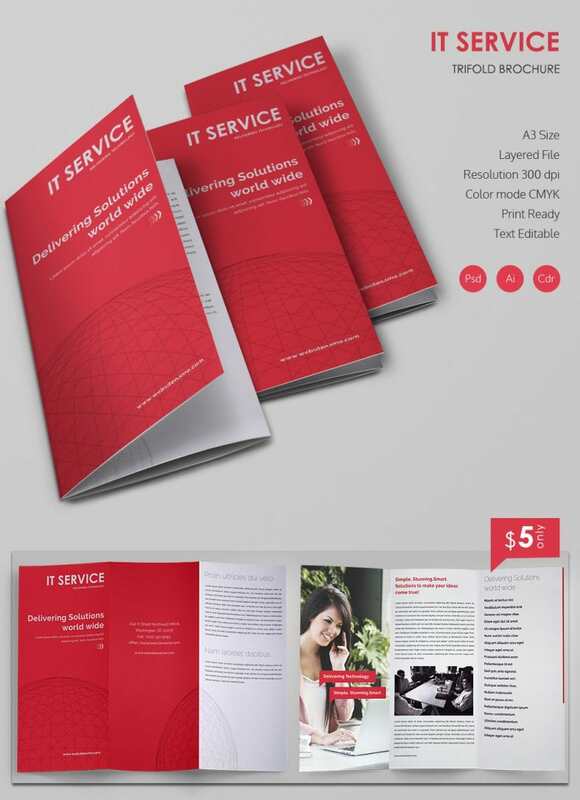 If you are looking for an A3 Tri Fold Brochure for your IT services, this brochure template here would be great for you. The scarlet cover renders a dramatic dose of glamour, assuring a stylish and smart outlook for your brochure right from the start. You would add your logo, company name and slogan on the cover page with your site URL at the bottom. Inside, you can discuss about your star qualities and services along with pictures. 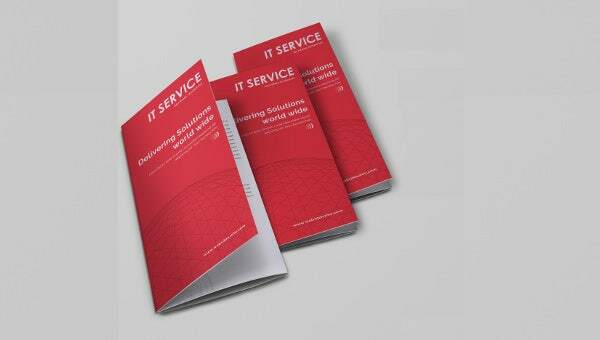 If you are delivering solutions globally, you have a fitting brochure here. The backside of the brochure further allows you to include the company address, phone number, email id and website URL.